3 Days of Giveaways! 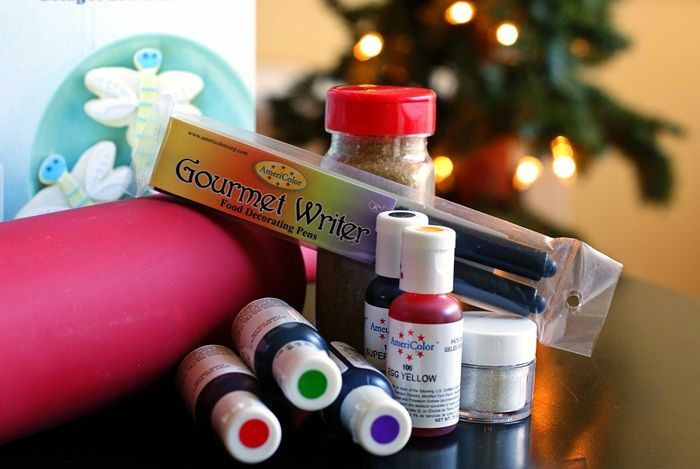 Cookie Decorating Essentials! If you're going to decorate cookies, you'll need a few essentials. So, these little goodies are from me to you. I hope you like them. 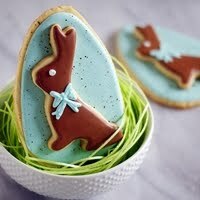 I hope they inspire you to get in your kitchen and make some cute cookies! Oh, and that book? I'm gonna sign it for ya. I haven't decided whether I'll sign it with my name or Sophia Vergara. We'll see. 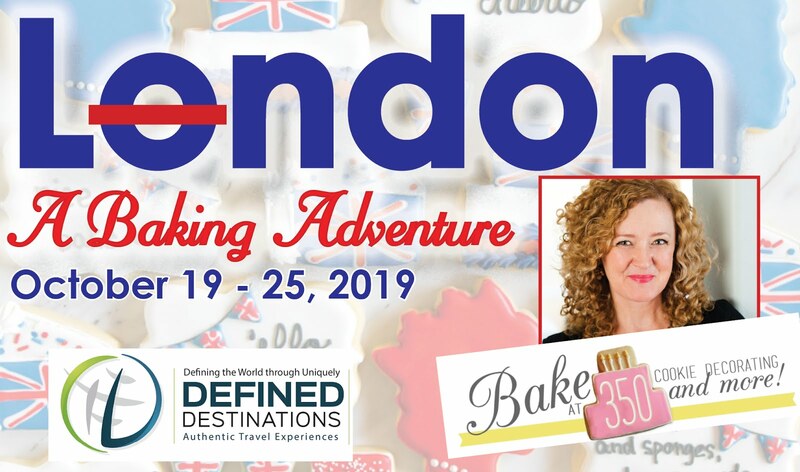 To enter: leave a comment right here on the blog (if you're reading this in an email, click on the blog post title to open this post in your browser) telling me if you've ever decorated cookies before. For an extra entry: leave a separate comment with your favorite kind of cookie. Sugar cookie? Chocolate chip? Oatmeal? Let's hear it! I've decorated lots and lots of cookies, but I only just ordered some bottles from Karen's Cookies on Cyber Monday. Geez! What took me so long? SO much easier than piping bags!!! I usually decorate cookies but this year I made a lot of cookie bars and drop cookies. Sugar...with frosting, of course. Although a nicely underbaked chocolate chip is good. Or a white chocolate chip mac nut? I may have a problem. I have decorated many a cookie and last year, for the first time, tried your flood technique. I love your blog for the inspiration and ideas. I need more cookie cutters! My favorite type of cookie is probably Oatmeal Raisin + chocolate chips + walnuts + coconut. Yum! My favorite cookie is chocolate chip with just a little bit of coffee in the batter. I've definitely have decorated cookies before, I've actually used your tips that you share here! And my favorite cookie ever is red velvet! My favorite cookie is my grandmother's recipe for potato chip cookies. They are like no other cookie out there - so delicious! I need to try the Americolor writers...my Wilton ones are umm less than pleasing. And yes I loooooove decorating cookies. And eating them. I am decorating Christmas cookies today. Lynda - I decorate with sprinkles and melted chocolate I have NEVER even attempted to do the things I see here. I have decorated cookies and I've used your recipe and your tutorial for the icing, etc. It's been so helpful! I made really fun ones for the Super Bowl last year. It's hard at Christmas, though, with so much else to do, to find time for making and decorating sugar cookies. You were the first cookie blogger I found. I made your turkeys with the dots for Thanksgiving 2010. We laugh at my results when those photos appear.. You are in my Google Reader, I am always excited when you have a new post. Thank you for being my beginning in the cookie world. I love peanut butter white chocolate chip cookies. So yummy!! My favorite cookie is one my mom made and now I make: Polish Tea Cakes. I have a good friend who is Polish who assures me these are not a traditional Polish cookie but I love them just the same! My favorite cookie my far is chocolate chip!! I decorate cookies now and then for special occasions. I wish I had more time for it! I love decorating cookies... I actually just bought this book and love it. Would love to give this package to my friend who is getting into decorating! My favorite cookies are chocolate chip. Nothing fancy! I've decorated cookies with buttercream, but never with royal icing before! My favorite cookie is a sugar cookie with lemon extract flavoring.. I found the recipe in a church cookbook in 1980. My favorite cookie is just the good ole sugar cookie... amazing what you can do with it when you mix it up! We decorate sugar cookies but have always used store bought frosting in the past. This will be my first year decorating sugar cookies to make them nice and pretty!!! I have decorated cookies but not very successfully. I don't know if it's because I'm not very artistic or just didn't have the right tools. My favorite type of cookie... a nice soft gooey chocolate chip cookie is my favorite! Always trying new decorating styles. I love a otameal raison chocolate chip! My favorite cookie for just eating (by the dozen, sometimes...) is chocolate chip, but for decorating, definitely sugar cookies! Loving anything with cranberries in it this year. Also buckeyes...do they count as cookies? Never really decorated cookies but would love to learn and start creating! I decorate cookies for every occasion I can think of. So much fun to create delicious little treats! I've decorated cookies but not anything like you do. I'm determined to learn. My daughter and I love to do homemade sugar cookie cut outs and then ice and decorate them!! My favorite cookies are chewy chocolate chip cookies with pretzel pieces inside. The combination of sweet and salty is amazing. I decorate cookies every year for the holidays for the guys at work! I have decorated cookies in the past and I love it! My most favorite cookies are Almond Cloud cookies (recipe on the King Arthur website). Yum!! My favorite cookies are chocolate crinkles! Favorite cookie - Oatmeal chocolate chip! I've never decorated cookies quite like you! My fav cookie are soft brown sugar chai cookies and good ol' chocolate chip. I love to decorate cookies! My favorite cookie is chocolate chip with cinnamon and nutmeg in the batter. You have inspired me and my boys to bring fun in the kitchen to a whole new level....I am officially a junkie! I just finished my first decorated cookie project - monogram cookies for my daughter's 4th birthday! I like a good simple soft sugar cookie. I try to decorate cut out cookies every year with my daughter. My favorite cookie is this lemon sandwich cookie that my mother makes. It's half dipped in chocolate and so delicious. I've tried making them, but no one does it like her! Yes, I've decorated cookies, but not as fancy as yours and I would love to try it! I have never decorated cookies wit royal icing but would love to! I love chocolate chip pecan cookies! My favorite cookie is oatmeal/craisin!! YUMMM! My absolute favorite cookies are triple chocolate chip cookies. Three different types of chocolate chips in one gooey cookie. Yummm. My youngest son and I decorated cookies on Sunday, but not with Royal icing or anything fancy. I actually wished for almost everything you are giving away! How coincidental! My favorite kind of cookie is a sugar cookie with a mini snickers inside. Yum! I have tried decorating cookies, but it has never ended well. I need lots more practice and people willing to eat failure cookies. I am actually decorating sugar cookies today, using your recipe, and I just finished decorating some and then freezing them for my daughters preschool class. I'm still planning on another batch. I have decorated cookies, but not the beautiful way you do! Decorating cookies, a tradition with my daughter! Who HASN'T decorated cookies before?! Of course I have!! My favorite cookie is actually a shortbread cookie! I have found that the older I get, the less I enjoy chocolate. Weird! My favorite cookies are white chocolate macadamia nut! 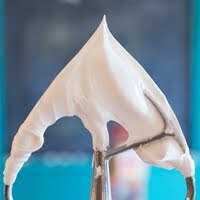 Decorating cookies with royal icing is on my bucket list, but I've still never done it. I love chocolate chip, actually I love all cookies! I've never decorated cookies before, but I want to try! I love everything baking-related, so it's the next 'step' for me to learn. I've been wanting your book forever too! I've never decorated cookies before, but I want to start! I have definitely decorated my share of cookies! Looking forward to doing some for Christmas dinner--it's coming up fast! My favorite cookies are anything chewy, but especially oatmeal chocolate chip! My favorite cookies to eat are Chocolate Chip and my favorite to bake are Triple Chocolate Cherry. It's a combo that my sister in law and I came up with and they're pretty awesome. My family's fav Best Ever Sugar Cookies!! i make them all year round with different seasonal cookie cutters. ... have decorated but never looked as great as yours! I've decorated many cookies before. I've fairly recently gotten into decorating sugar cookies. I'm no where near as good as you but I'm improving. Of course I have decorated cookies before but could never do it as good as you do, yours are wonderful, I don't think I have the patience. I love all cookies, but if I was stranded on a desert island and could only pick one cookie to eat for the rest of my life, it would definitely be chocolate chip. Love your cookie recipes :) My girls and I have been using them for our Christmas cookies for the last 4 years! I love your site! Would love to win this great stuff and keeping it all for myself!! I have decordated cookies before but I'm hoping to get better at it in the future. I'm a newbie cookie decorator, typically do cakes/cupcakes, but I've done some flood cookies with dots and swirls and they turned out great :) I should be contact-able through my google account/blog! And Chocolate chip cookies have always been my favorite! My favorite cookies are oatmeal chocolate chip cookies. I recently had oatmeal peanut butter chocolate chip cookies, and they were amazing too. Love decorating cookies. My son is 10 this year and asked to make ninja and zombie ginger bread men this year. Looking forward to teaching and watching his creativity. Yes, I have decorated cookies, but nothing in comparison to what I see on here. I love to try though! My favorite type of cookie.....warm chocolate chip with an ice cold glass of milk! Peanut butter are my favorite but Sugar cookies for Christmas are unbeatable!!! Cookies in general are my biggest weakness...I LOVE sugar cookies and oatmeal cookies and gingersnaps. Cookie decorating is one of my fav childhood memories! My mom NEVER EVER baked growing up unless it was Christmas eve and even then she would bake the sugar cookies from the tube and buy tons of gel icing and frostings and sprinkles and it was the one time we got to go crazy in the kitchen. My brother and I looked forward to it ever year and I now do it with my kids (although we don't just wait for Christms eve anymore). I've been decorating cookies for the last 2 weeks for our school cookie exchange for the kids. Thank you for such a great giveaway! Perfect way to get started! My favorite cookie to decorate is a sugar cookie. Good old chocolate chip are one of my favorites! 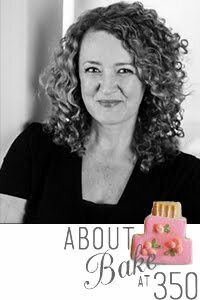 I do make cookies - and regularly consult your site but would love to consult your book. Favorite cookies: SUGAR of course. I've never decorated cookies before but I been thinking about purchasing everything to get started. My favorite cookie is probably chocolate chip with pecans, but I also have a weakness for iced oatmeal cookies. A new favorite is Ina Garten's Chocolate Peanut Butter Globs! Nestlé has special edition dark chocolate and mint chips. They are only available at this time of year but I love the cookies you make on the package. The cookie jar smells awesome when its opened. I have decorated cookies very simply - as in coloring canned vanilla icing red and green and then throwing some sprinkles on. I have dreams of making pretty ones like yours this year! If Decorating cookies means sprinkling sugar on top, yes, I've decorated cookies...but I'm sure I'd be much better with the right tools! 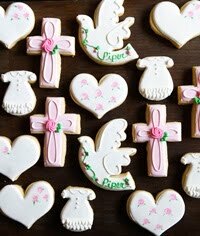 i have decorated cookies before, i once made cookies for my friends bridal shower. they came out ok...i'm getting better at it!!! I love to (attempt to) decorate cookies! My favorite cookies are peanut butter cookies! Sugar cookies are a close second. 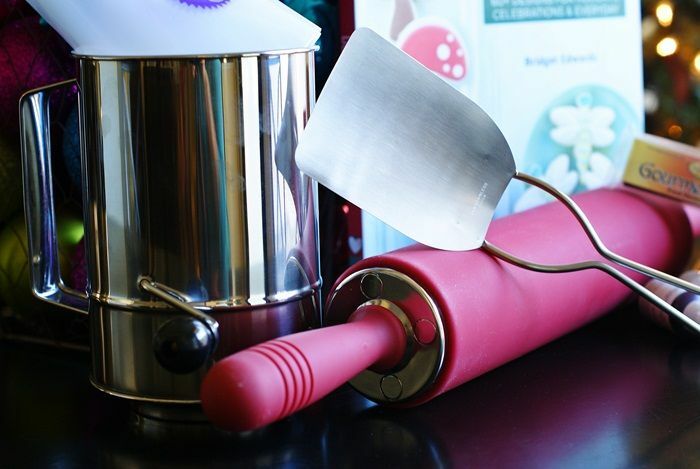 I love decorating cookies and it will be much more fun with these tools! I like the Thumb Print cookies that are filled with jam...yum, yum! wowza, what a giveaway! fingers crossed! I have a total weakness for white chocolate macadamia nut cookies. So amazing! I never made decorated cookies but I'd love to learn. I love ginger cookies...followed very closely by sugar cookies! My favorite cookie has to be the chocolate chip cookies my great grandmother used to make! Oh how I miss them! Love to decorate cookies for party favors (showers, Christmas parties, etc.)! Yes I've been decorating cookies since '70's. They've come al long way! I started decorating cookies after finding your blog about a year ago. I'm always looking for new creative ideas. My favorite cookies that I have made so far have been a couple dozen "blue suede shoes" for an Elvis themed party last month. 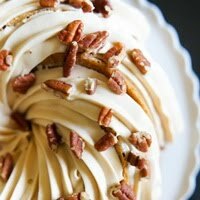 my favorite cookie would be sugar cutout cookies with yummy frosting! Yes, I love decorating cookies! I usually only decorate with sanding sugar or sprinkles, but they are still cute! My fave cookie? French macarons! I have tried to decorate cookies however they turned out hideously. Time to try again! My favorite type of cookie is a classic chocolate chip cookie. I find myself incredibly intimidated by royal icing...so no, I've never decorated cookies before. My favorite cookie is an old-fashioned toll house cookie. Also, I LOVE oatmeal chocolate chip cookies. I'll substitute Raisinettes for chocolate chips when I'm feeling feisty. I like cookies with oatmeal and dried fruits the most. Yes, I love to decorate cookies! Thanks for your tips and inspiration! Of course! I love decorating cookies but I'm not nearly as good as you! My favorite kind of cookie has to be white chocolate chip macadamia nut. I have decorated cookies but have never tried flooding before. My favorite is my peanut butter oatmeal dark chocolate chunk cookies! I LOVE peanut butter reeces cup cookies... they are like chocolate chip but with a lot of peanut buttery yummyness! I have decorated gingerbread cookies to represent my family and friends last year. I decorated my first cookies for my son's birthday party - your pumpkin cookies and spiderweb cookies! My favorite cookies have to be regular chocolate chip! I have decorated cookies before but I'm not very good at it! I love oatmeal chocolate cookies!! And I'm addicted to plain ol' chocolate chip cookies. My favorite cookies are toffee chocolate chip cookies. I've done Christmas cookies a few times! I love sugar cookies with icing! You can have so much fun & put a lot of flavor in them. Yes..This will be my 4th year decorating cookies for the 2 Christmas parties we attend. Your site inspired me to attempt decorating LEGO head cookies for my son's birthday. It was hard, but fun. 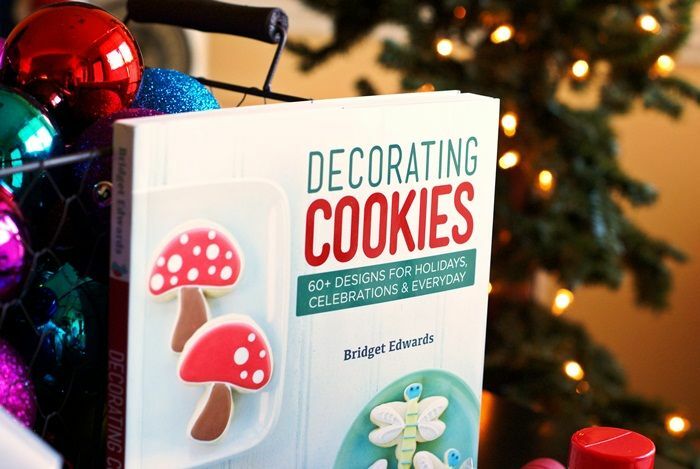 I love decorating cookies, and I love your blog! Fantastic giveaway, Thank you! 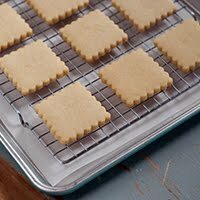 I use your sugar cookie recipe all the time and have gotten many compliments on it. Your cookies are so inspiring. You are right though. 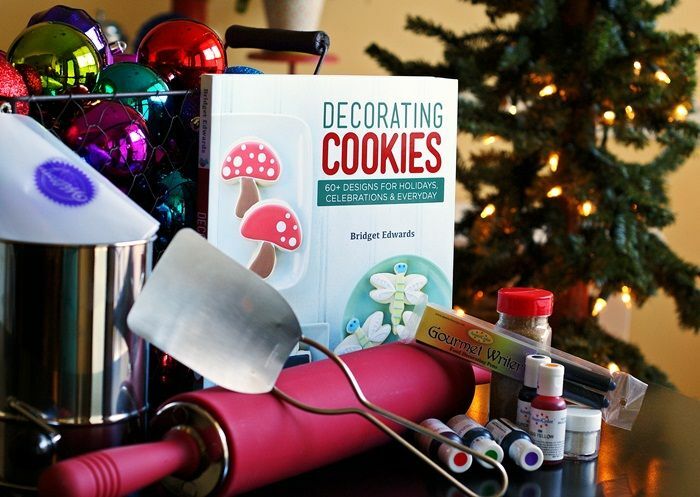 To make beautifully decorated cookies one needs all sorts of essentials. 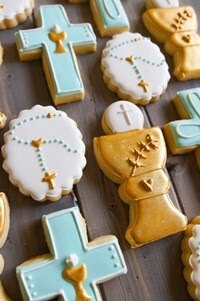 Also I Love Love Love Sugar Cut-Out Cookies with Buttercream Royal Icing!..They are a super big hit!! I decorate cookies for virtually every holiday-- one of my favorite holiday traditions! Yes, I've decorated cookies before but I have not attempted "flooding" again after finding your helpful site. The first time, it was a disaster. I hope your "counting seconds" method works. Thanks! I have decorated cookies a couple of times. Not a ton. I had fun and was really excited with how they turned out. I have decorated cookies, but the slop-decorating kind of childhood. I've never decorated cookies like you. Love Love Love Baking...learned well from my mother and grandmothers..going to make sugar cookies with royal icing, snicker doodles, molasses and peanut butter cookies this weekend..and some fudge, yumy! Yes I have...just finished baking a batch and will be decorating them tonight. Oh Yes, we've had lots of fun decorating cookies. Always looking for new ideas... :-) Thanks! And my favorite kind of cookie is spritz: nothing says Christmas like a little festive wreath of buttery goodness! Also, my favorite cookie has to be those soft batch sugar cookies with the amazing icing. And for my favourite kind of cookie, after decorated ones, it would have to be choc chip. Or maybe a soft chewy spice cookie. Or maybe a chocolate mint triangle (pampered chef has an amazing recipe!)... Do I really have to pick just one?! I love cookies with lots of "stuff" in it. Chocolate, dried fruit, oats, nuts. The more the merrier. My husband however is very different. Cookies are supposed to be sugar cookies. Period! My favorite cookie is a sugar cookie.